Gray Bird No. 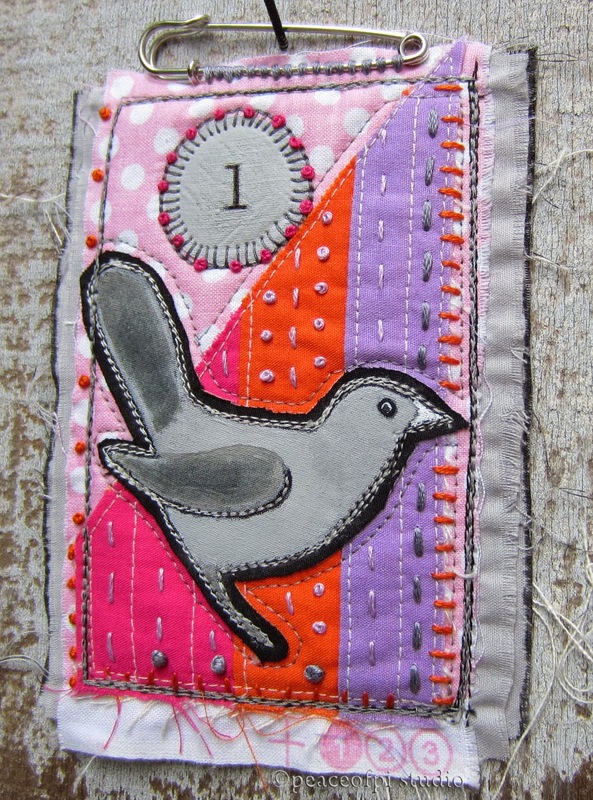 1 is a badge featuring Hand Embroidery French Knots. A kilt pin sits atop of the frayed edge prim badge. The pink polka dot fabric with orange, purple and hot pink stripes is embellished with hand embroidery and a curious gray bird.